Happy Friday! I have exciting news for you all! 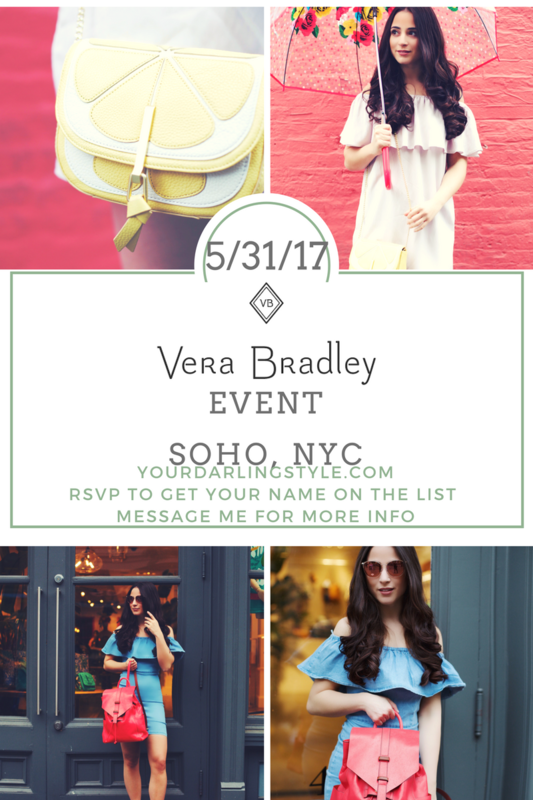 On Wednesday May 31st, I will be hosting an event at the Vera Bradley store in SOHO, NYC. It will be from 6-9 pm. This is a night you do not want to miss out on. There will be free facials by Aveda, raffles during the event, discounts, goodies and a lot of fun things. I mean, who doesn’t love FREE stuff? Be sure to click the link to RSVP and get your name on the list! It has been very hectic, which is why you have been seeing a lack of posts recently. I sure know how to keep myself busy! I do have a lot of exciting, fun things happening this summer. I first off, opened the musical Oklahoma! at a regional equity theatre which is very exciting. joining the actor’s EMC union was a major goal of mine and that has bee accomplished. I have been in rehearsals for the show since late April and we officially opened last Saturday! 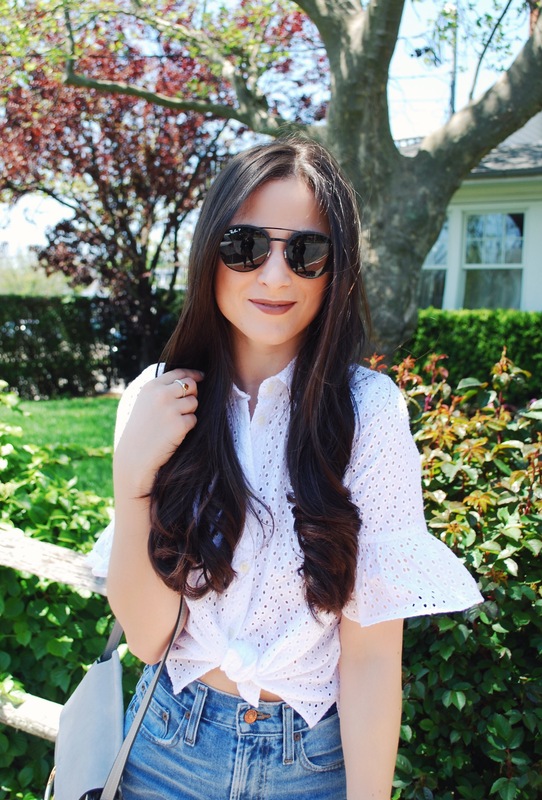 After the opening weekend rush, I did a little Spring/summer shopping and found this gorgeous eyelet lace button front top. Can we talk about how you can tie the front or wear it like a boxy cut top. 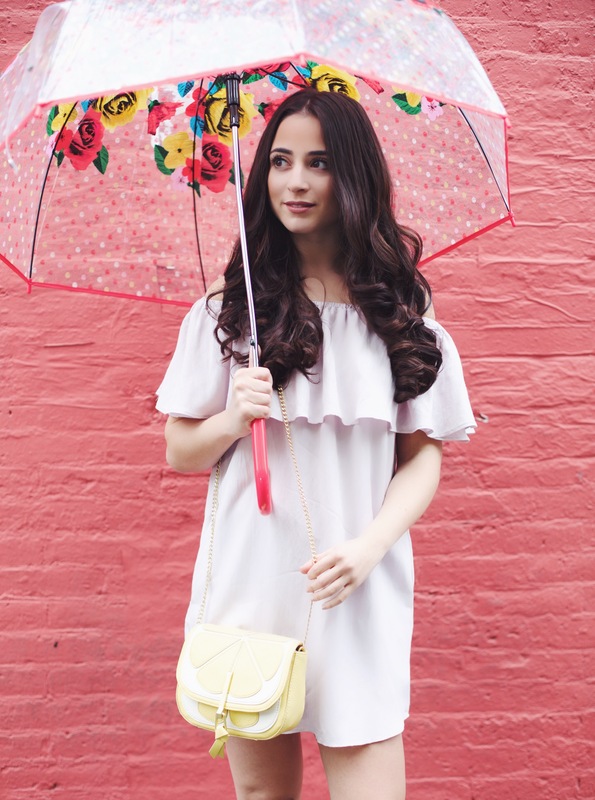 If you are petite framed like me, then this top is for you. 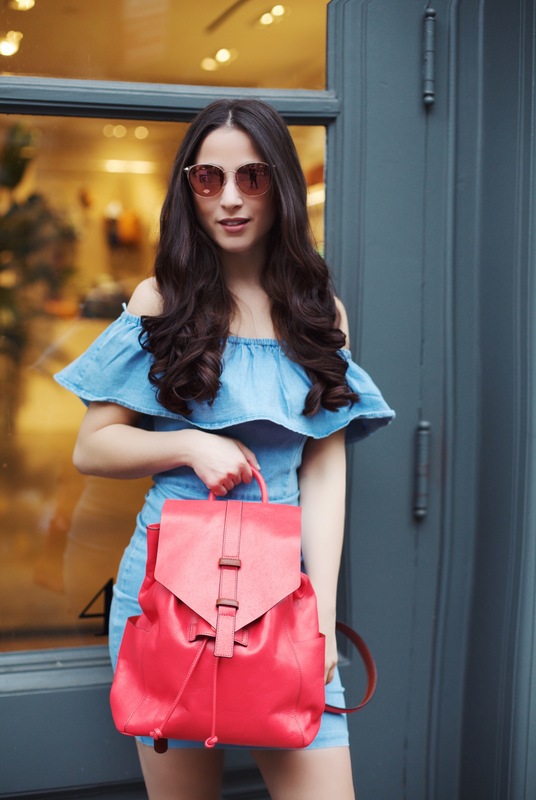 You can wear it with high waisted denim shorts or even some high- waisted tie front pants. I have been in search for the perfect denim high – waisted shorts and these denim faves from Madewell are PERFECTION. I am obsessed with the stretchy fabric and "vintage Levi look." Everything that I am wearing is tagged below and you will not be sorry if you add these shorts to your summer wardrobe. Happy Thursday everyone!